Farmers have an asset that can be utilised in farm diversification projects, and that’s their agricultural land. 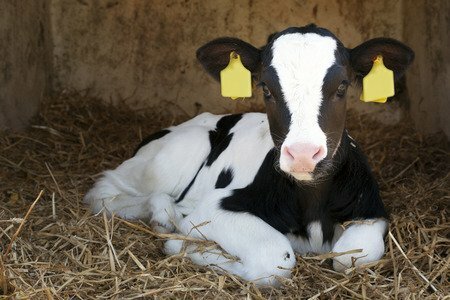 There are many unique challenges in farming and many changes ahead due to Brexit and the looming end to farm subsidies. Legislation will change a lot with the break from Europe and as yet the outcome is still unknown. All of this uncertainty within agriculture is encouraging farmers to look at other opportunities and farm diversification projects, often focused around taking advantage of an asset that most farmers have, agricultural land. Leisure and tourism is a popular choice for farmers and is definitely worth considering as a farm diversification strategy. There is a wide choice of accommodation to choose from including using rooms in your farmhouse for bed and breakfast, glamping style holidays in shepherds huts or yurts, Caravans, or luxury breaks in lodges or barn conversions. A popular choice with farmers looking for farm diversification and benefiting from having agricultural land to use is holiday accommodation. This can be done in lots of different ways to best suit your lifestyle, time and commitment. If you have spare rooms in your farmhouse you could use them for a farmhouse bed and breakfast, and offer a traditional farmhouse breakfast from your own and other locally sourced produce. This won’t suit everyone as opening your house up to the public isn’t for everyone. Others of course thrive on entertaining and would love the opportunity. Shepherds huts can provide an extension to your existing bed and breakfast facilities or planned bed and breakfast venture. Or they can be a completely stand alone option, offering you some separation from your home life by having an external bed and breakfast option. This is a great opportunity to make an extra income from utilising a very small area of agricultural land. Shepherd huts come in a variety of sizes and styles and bespoke designs are readily available. They can be bought as a shell for you to add all the finishing touches including weather proofing and full internal fitting and interior design. Or you can buy a completely ready to go, fully interior designed to the highest quality ready for your first bed and breakfast guests. Shepherds huts vary a lot from just having sleeping, eating and seating areas, to being fitted with wood burners, cooking, washing and toilet facilities. Obviously, you would need to provide suitable washing and toilet facilities if this isn’t catered for in the shepherds hut. Shepherds Huts are frequently decked out in traditional furnishings or can be more contemporary and are becoming a popular farm diversification project. They also offer further scope to provide a market to sell your farm produce and make money from serving breakfast and / or other meals from your own produce or other locally sourced produce. Yurts have become synonymous with glamping in recent years and really can bring glamour to camping, making it have a broader appeal to a wider and previously unobtainable audience. Unlike traditional camping even in large tents, having a double bed instead of blow up beds is a huge advantage in marketability. 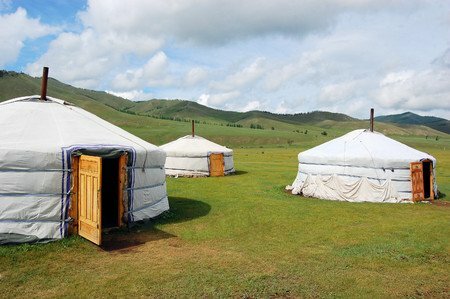 Yurts take up a small area of agricultural land and farm stays are a popular choice for a break away from the hustle and bustle of everyday life. Yurts can be offered on a bed and breakfast or self-catering basis by way of providing barbecue facilities and farm produce can be sold either way to your guests. 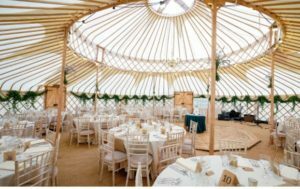 Yurts vary in size from 12 ft Diameter to 42 ft Diameter and accommodate from two people at 12 ft up to a venue size for weddings and functions at 42 ft. There are options to insulate for all year round use and many bespoke features like wooden flooring, choice of doors, wood burners etc. Another good use of your agricultural land for farm diversification is caravans which offer a self catering farm stay holiday. 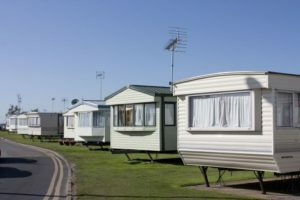 Obviously, there is the choice of static caravans and if you set up extra pitches you can allow for touring caravans as well. There is still the option to offer breakfast and plenty of holiday makers would prefer to put their feet up and be catered for. Especially when a fresh farm cooked breakfast is available. Again if you have a farm shop or want to sell your farm produce from the farmhouse you are gaining a market to support this. 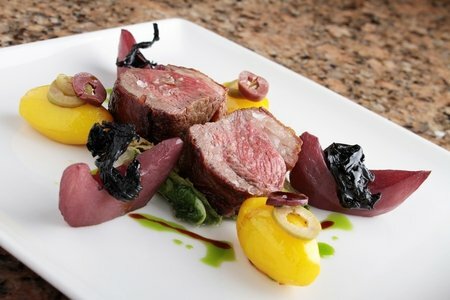 Whether it’s meat, eggs, milk, cheese or whatever more niche produce you specialise in. There is the opportunity to aim for the high end market when planning the best use for your agricultural land for your farm diversification. Lodges and barn conversions although more initial outlay, provide a higher return and would suit certain facilities that either you offer or are available locally. If you have or could work with a riding school that offers riding holidays, you could provide the farm stay accommodation. Or hunting and fishing holidays, off-roading or team building breaks for businesses. Of course there is always the opportunity to offer the option to stay and work on the farm for a week, amongst many other viable opportunities. Lodges are a very popular choice and offer real luxury with a real home from home feel. Although per lodge they may need a slightly larger patch of your agricultural land per lodge but they also offer a higher return, so are definitely a farm diversification project worth consideration. 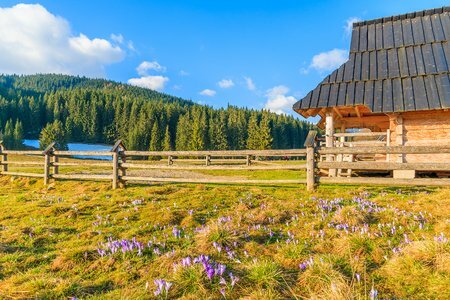 Farm lodges could be for single family / couple occupancy or could offer group stay holidays incorporating a sport or activity, so there are many choices to consider and way up. Often farmers have old barns and sometimes several on their agricultural land, these barns and outbuildings could make a fantastic conversion project. Depending on size, your skills and passion there are a lot of available options, from converting to a farm shop, cafe, wedding venue or accommodation. If you have several of course there is a fantastic opportunity to utilise for multiple uses to provide facilities for accommodation and have multiple income streams. A farm setting with beautiful scenery and livestock in the background makes for a romantic and memorable Wedding venue. This would work fantastically alongside accommodation or as a stand alone farm diversification. There are choices for the reception from large yurts, lodges, barn conversions or a marquee and of course there is the option to work with a caterer using your own produce for the wedding meal. 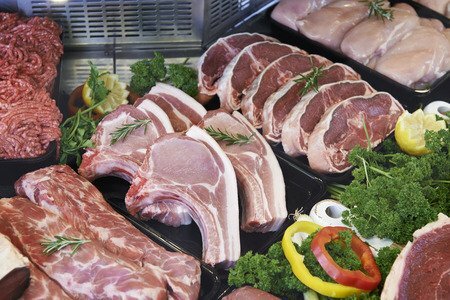 A farm shop is a good way to maximise on potential profits from your farm produce as there’s no third party involved to take a cut of your hard earned money. Developing accommodation as well helps provide a market for your produce to add to the passing and local trade. A farm cafe to compliment a shop or accommodation is also an ideal project for a farm setting and a good addition to a farm cafe is even a small children’s play area, from a swing, slide and an old tyre converted into a sand pit to as extravagant as your imagination allows. This will really help attract a family audience that are always looking for somewhere to take the kids. If you have some bomb proof and placid animals that children could pet this again will help attract a regular family audience. Farm parks are hugely popular with families and for school trips, this also offers the chance to educate people about farming and conquer the growing myths and fake propaganda about farming. Again adding a sandpit, play area and cafe however small initially will help ensure an avid audience. If you have agricultural land and are thinking of a farm diversification project. Agrismart can help you through the diversification process to make your plans a successful extension to your farming business. We have partnered with manufacturers of yurts, shepherd huts, caravans, lodges and specialist barn converters that offer both quality and value as well as plenty of happy customers that will recommend them to you. We will be covering them in our next post but please feel free to contact us below or email info@agrismart.co.uk and I will assist you personally with your plans, my name is Alex and I am always happy to help with any enquiries, just ask. Agrismart also have an inhouse team of web designers and internet marketers, offline marketers and a sales team to help develop business growth and farm diversification plans. So we can develop a website to suit your needs and support your farm diversification project and we can also ensure that it’s attracting people to your new venture to make sure your concept realises it’s potential. Agrismart does this by optimising your website to attract searches in Google locally or across the UK dependant on your needs and using social media, offline marketing and sales in whatever form best suits your unique business concept.